The tiny Zanksar Kingdom is one of the most remote regions of the west Himalayas. It takes 2 days to reach Padam from Leh via Kargil. However Indian Govt. is planning a shorter route via Shingo La (5050 meters) that will dramatically reduce the distance to 6 hours. On the trail we will come across remote settlements, ancient monasteries and dramatic views of the rugged landscape making the trail particularly attractive for trekkers. Zanskar range includes several peaks above 6000 meters and multitude of high ridges and rock spires. The region is known for its wildlife like brown bears, Ibex, Snow Leopards and Wolves. Herds of Urial and Blue Sheeps can also be found on the high ridges. As we trek through this remote route and traverse along the ancient monasteries of Padam, Karsha, Lingshet, Photoksar, Wanlah and Lamayuru. We get to cross snow fields, countless high passes including Singge La (5100 meters), Sisir La (4750 meters), Hanuma La (4750 meters), and several other as well as cross numerous river streams and deep gorges. We feel blessed and humbled as well as filled with awe. After Acclimatization and sight seeing at Leh, we will start our drive towards Padam via Kargil through desert, We will visit at the Confluence of the River Indus with River Zanskar at Nimoo on a terrain that resembles more like a surface of the moon. We will enjoy the Ladakhi Landscape and dry riverbeds as well as Mt. Nun and Kun, the highest peaks of the region at an altitude of 7135 mt and 7070 mt respectively as well as views of River Indus while crossing Suru Valley. The road from Kargil to Padum is more like a dirt road, but this road offers some spectacular views and is at an average altitude of 3750 meters. Most people may experience some sort of motion and altitude sickness on this route. Before starting our trek we will spend some time in Zanskar Valley, and visiting some impressive monasteries of Tongde, Zangla, Karsha and Sani. There are many restaurants and hotels in Padam. But you need to watch out for your belongings as there are cases of theft in this region. Enroute we can visit the famous Dogra Fort from 1830's build by Zorawar Singh when he first invaded Zanskar. We will also visit Karsha Monastery which is the largest monastery in Zanskar. We will visit the main courtyard to enjoy the amazing views of Zanskar Ranges from up there as well as Assembly and Prayer Hall. It's a 10th century Gompa with a big prayer and assembly hall thus a lot of monks from nearby valleys visit here to attend prayers. Its a short trek with ample time to savour the awesome views of jagged ridges of Zanskar. There is a a road which leads all the way to Rinam, however walking is good for acclimatization as we have to climb high passes in the coming days. We take the main trail from Karsha, which is dry and dusty route sometimes with the pleasure to walk across river beds. In two hours we reach Rinam (3500 meters) and have a short break here. There is another 7 kilometers walk alongside Zanskar River until we reach Pishu. The entrance of the village is marked by Mani Walls (Inscripted Stone) and Chortens (Stupa). There is a green campsite close to the river. For acclimatization we can take a short trail to Zangla Village after crossing a bridge over the Zanskar River and heading towards the dirt road to the outskirts of the village. 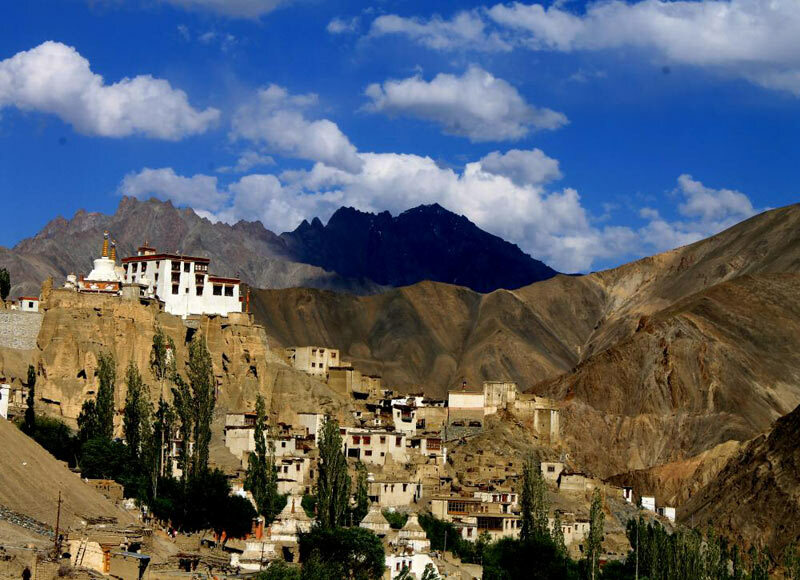 There is a small nunnery an a fort from where we can enjoy commanding views of Zanskar Valley. Today will be a level walk along the bed of Zanskar River across the villages of Pidmu, Hanumil, Chazar, Honia in Zangla Region. 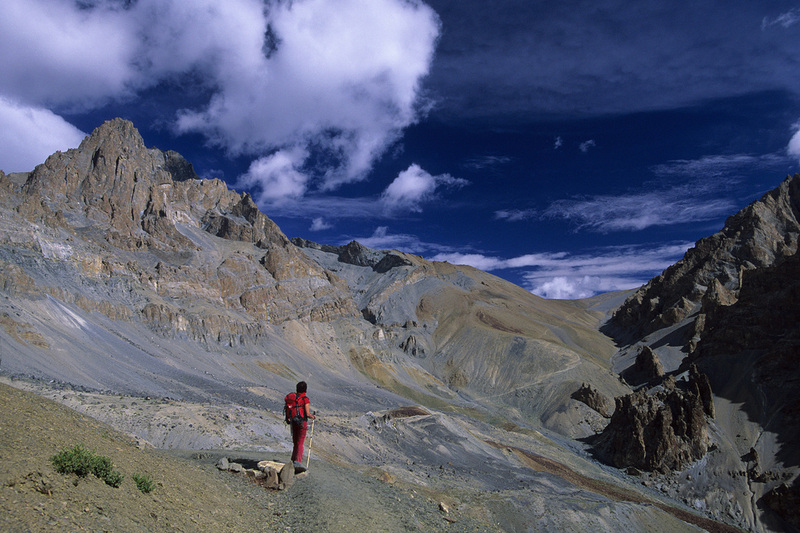 As we walk across riverbed we will enjoy mesmerizing views of Zanskar Region. We will have lunch at Pidmu(3400 meters) and head north through green fields an then make a descend towards the river bank towards Hanumil. Hanumil is a beautiful Oasis with a few settlements amid willow trees. There are well tended barley fields nearby. Situated at the Mouth of a Gorge, the village and its surroundings offer a commanding view of Zanskar Valley and Mountain Ranges. We make arrangements outside the village near the green pastures and camp there tonight. Today will be a little difficult day as we are climbing PurfiLa which is a minor ridge leading towards the trail beyond Zanskar Valley. We climb from above Zanskar River, a gradual climb of 5 kilometers towards the Purfi La Ridge. We will come across a variety of vegetation along our route Cypress Trees, Wild Roses and a selection of herbal plants on upper slopes of the trail. We will have sightings of Lammergeiers and Himalayan Golden Eagles flying above the thermals. We get to enjoy beautiful views to the south of Himlayan Ranges. There is a stiff descent from here for another 500 meters which will take an hour or more of our time towards Zinchen Tokpo. As we find a bridge here we will take rest here in shade among trees. After a brief rest here we will start our ascent towards Snertse (3750 meters), which is an equally demanding endeavor and climb for another few hundred meters. Here is our campsite for today. Today will be a tough day as we will be climbing another pass. We start early towards a steep ascent of 400 meters out of a narrow gorge. Once we are through the gorge there will be an easy ascent for 2 hours. As we continue along the level walk for a few kilometers. There will be a gradual ascent to the Hanuma La which will ease out in the last few kilometers. As we reach the top we will get to enjoy beautiful views of flow of Zanskar River and a bird's eye view of Lingshet. There will be prayer flags and two large Stupas, we will also get to enjoy spectacular views of Singge La and rugged Zanskar Gorge. There will be views of Snow Capped Ladakh Mountain Ranges far along the horizon and we can see Linghset Monastery far down from here on the opposite side. There is a steep descent from here with many switchbanks with a short climb followed by a gradual descent to Linghset (3800 meters). 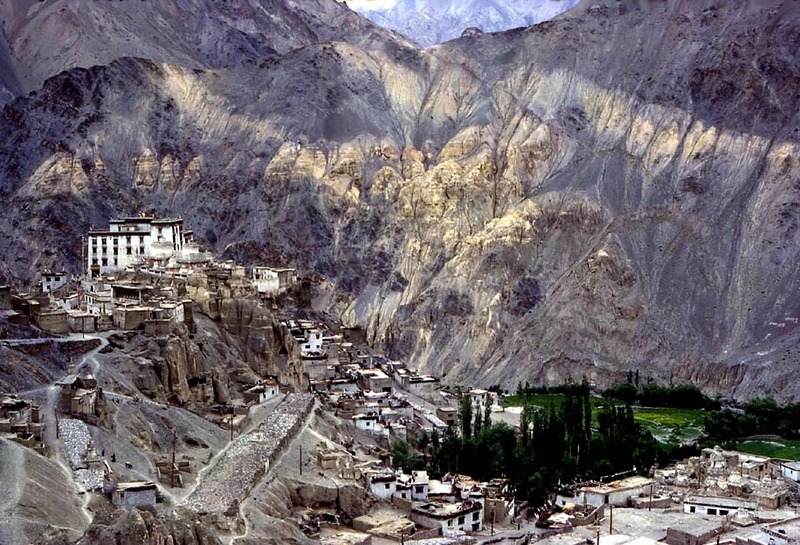 Lingshet Monastery was founded by the Gelukpa Order, there is also an older monastery further down the valley which was perhaps established in earlier times around 11th Century when Budhism started spreading in Ladakh. We camp here near Linghset Monastery tonight. Today will not be an easy day as we have to cross two intermediary passes with numerous ascents and descents. However there will be a beautiful views across mountain ridges and beautiful campsites to enjoy and rest in between thus making the journey a little easier. At first we will ascent towards the first intermediary pass Netuke La (4300 meters) and start our descent to the river. After crossing a settlement we will start another steep ascent towards Khyrupa La (4400 meters). After some descents and ascents and few hours of journey from here we will reach Singge La Base. There is a spring flowing down more than a 1000 meters below from this campsite towards the river. We camp here tonight. Singge La literally means Lions Pass, thus you can imagine the difficult while crossing it but nevertheless we will enjoy the great views Singge La has to offer as its mark the most important part of our trek. There are unparalleled views from atop with beautiful views of Himalayan Mountain Ranges and panaromic views of Zanskar Range in entirety and snowy peaks of Ladakh Mountain Ranges. It doesnt take much time to ascend the peak, there are beautiful views of snowy waterfalls and limestone cliffs welcoming us, however steep slopes filled with scree puts the momentum off for a bit. Once we reach the top we will enjoy remarkable views of 6000m and above peaks from upclose. We start our descent towards the left of the valley as we cross some green pastures and a river stream. Once after crossing the stream there will be a gradual ascent for 5-6 kilometers towards a ridge that leads to Photoksar Village (4100 meters). There are two monasteries in this village. Monks from Lamayuru come all the way to service this gompa. The area is called Photang Valley. We will be camping above the village. Roads are constructed till here and we can end this trek, however we can continue if we have enough time in hand and enjoy the adventure of crossing Sisir La while enjoying the natural scenery in process, views atop from Sisir La are every photographer's delight. As we continue for a few kilometers towards the river and cross the bridge on our left, there follows a gradual ascent for about 2 hours to Sisir La's base. From here there is a steep ascent over the ridge and further on top of Sisir La. From atop we can enjoy amazing views of Zanskar Ranges, Vast Snow Capped Mountain Peaks extending across Himalayas and Ladakh. From back we can even see Singge La and adjoining peaks. The descend from here is over loose scree down towards the valley from where we will continue on our left for 6 kilometers to reach Honupatta. Here there is a old, giant cypress tree adorned by prayer flags. We can get accommodation in a guest house here else we camp in the open tonight. Today our jeeps will pick you from Honupatta and drive you around Wanlah Monastery founded in around 12th Century and is a subsidiary of Lamayuru Monastery. After monastery we will cross over the beautiful Prinkiti La to visit Lamayuru Monastery which is one of the oldest and prominent monasteries in Ladakh. Situated at an altitude of 3500 meters, with breath-taking views we may even get a chance to time our trek during the annual masked festival organized in the Gompa during summers. The monastery is famous for its rich wall paintings, collection of thangkas, murals, scriptures and statues of different forms of Buddha and other deities. Walls of the Dukhang are painted with colourful images of Buddhist deities. In the small temple there are some images of Avalokitesvara (with 1000 arms and 11 heads), Padmasambhava and statues of eight Bodhisattvas. The annual festival known as Yuru Kabgyat is the major attraction of the monastery. Besides its monastery, Lamayuru also attracts tourists for its landscape quite similar to the lunar terrain. Though remote, the landscape is a favourite with photographers and trekkers. Adventure fantasy film The Fall was shot at moonscape at Lamayuru. Some of the scenes of the feature length drama movie Wolf were also shot in Lamayuru monastery. Next day we will proceed our return journey back to Leh via Kargil, where much more awaits us.